An Indian immigrant running from her past forms an unlikely bond with a Syrian refugee in the city of new beginnings. Working as a nanny for a wealthy Berlin family, Jaya spends her weekends teaching German language classes to newly arrived refugees. When a new student joins her class, Jaya discovers a connection that reveals the path towards her own healing - as well as his. 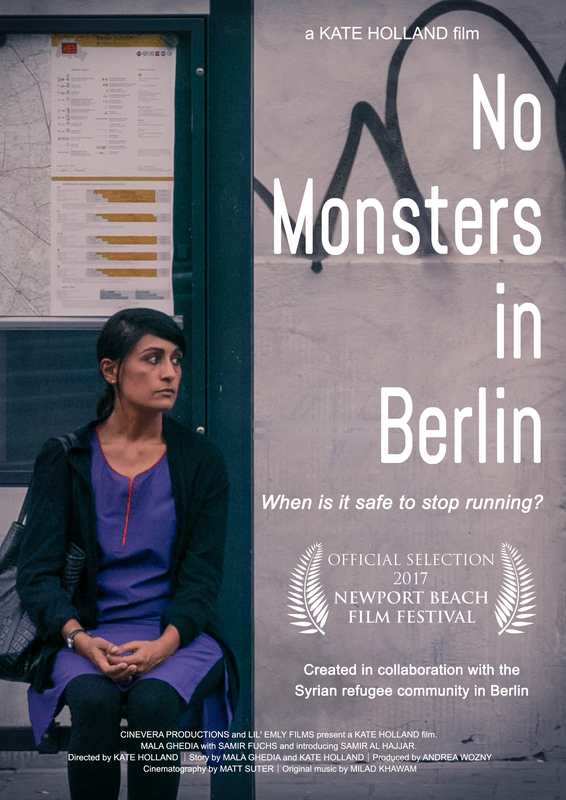 No Monsters in Berlin tells the next chapter of the current refugee story: resettlement and integration. This film has been made in collaboration with members of the Syrian refugee community in Berlin. In the Shorts: Journey On program.